This past weekend I had the pleasure of being a returning guest on live talk radio on Dr. Dave Janda’s Operation Freedom. Live interviews are always a blast, with only one downside: the brief time slots require that you stick to a focused topic plan that always ends up wandering into unexpected territory. Maybe we will continue with a fake news topic during the next interview, but that depends on what happens in the markets between now and then. My next scheduled appearance is Mar. 24 from 3-3:30pm EST. I received numerous emails after the show from folks who wanted to know if I keep any notes that link out to all the material referenced. 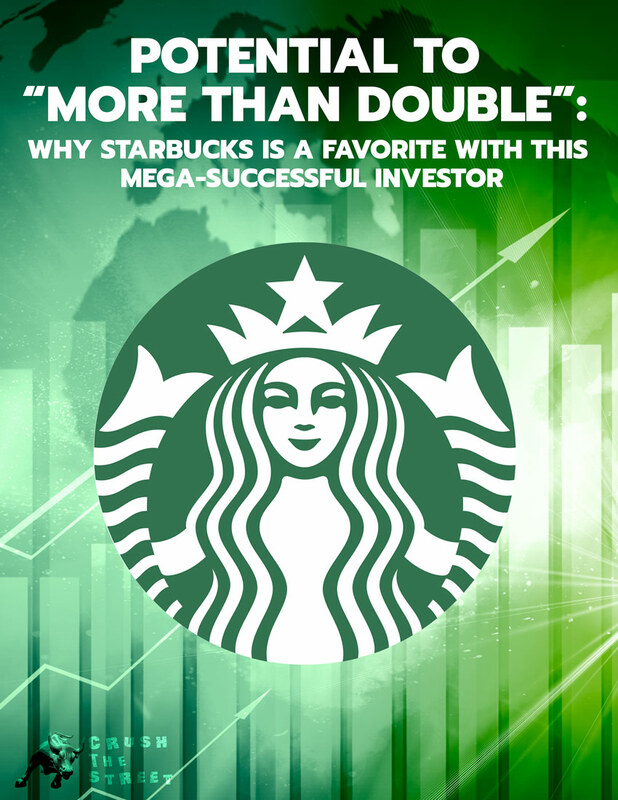 Here is the interview on YouTube and some notes to follow along with that link to articles, graphics, gold charts, and other interview material referenced during the show. 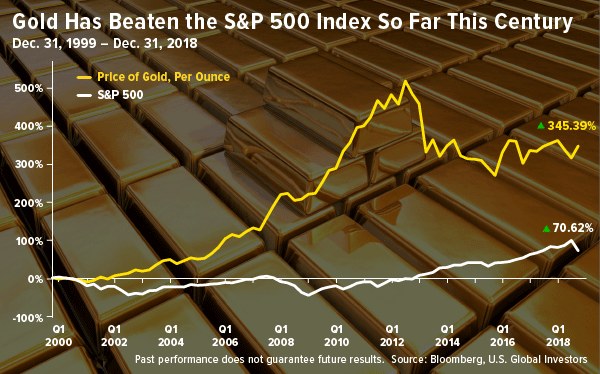 1) Fake: The stock market has outperformed gold since 1999. 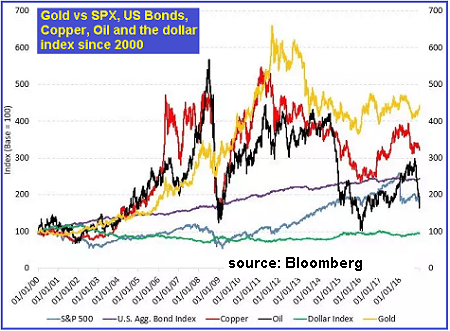 Truth: Gold has outperformed the stock market, particularly since the turn of the century. 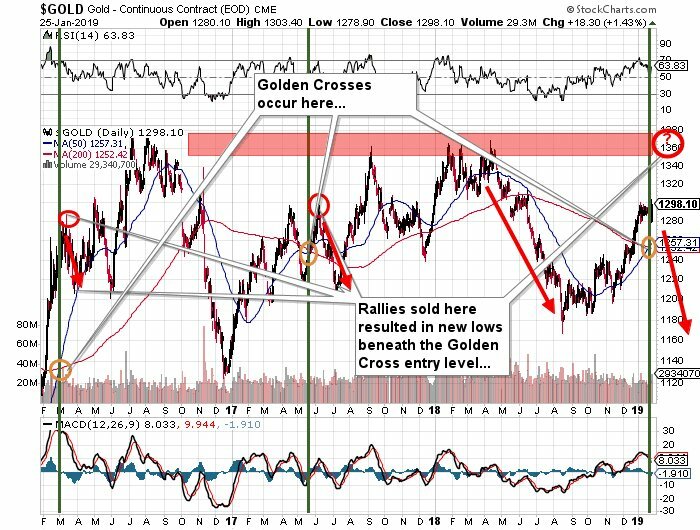 2) Fake: The Golden Cross (50/200 moving average crossover) is a dangerous trap that triggers the cartel to manipulate the price of gold downward. 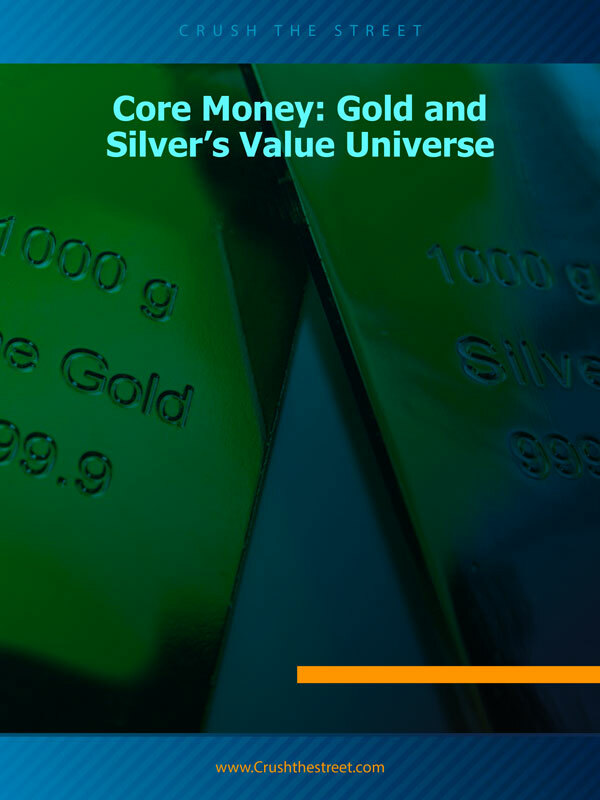 All technical breakouts and breakdowns in gold and silver are signals that usually reverse. 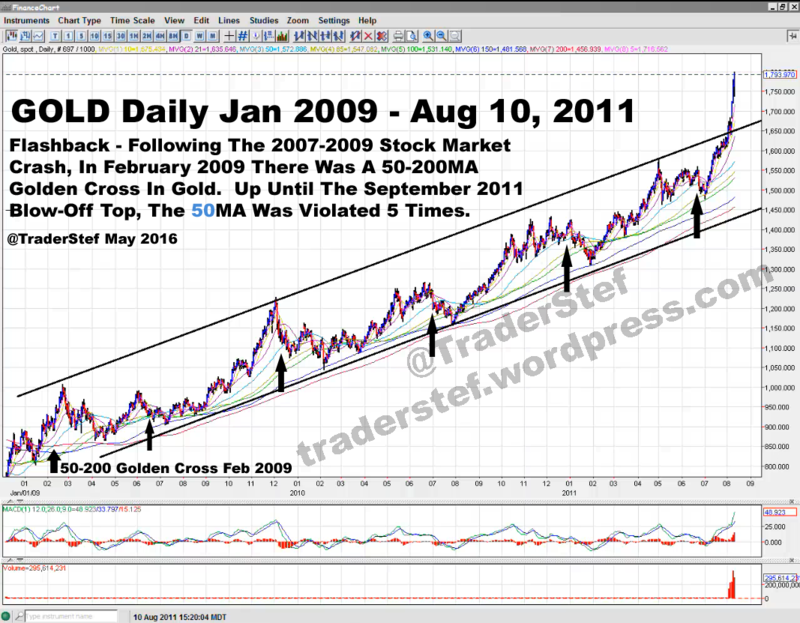 Truth: Gold performs very well following a Golden Cross. 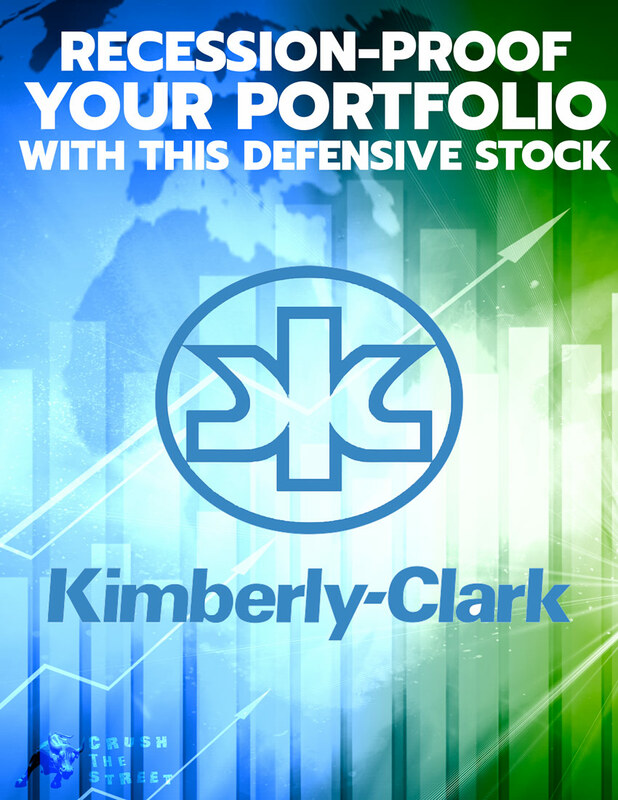 There are several types of moving averages. 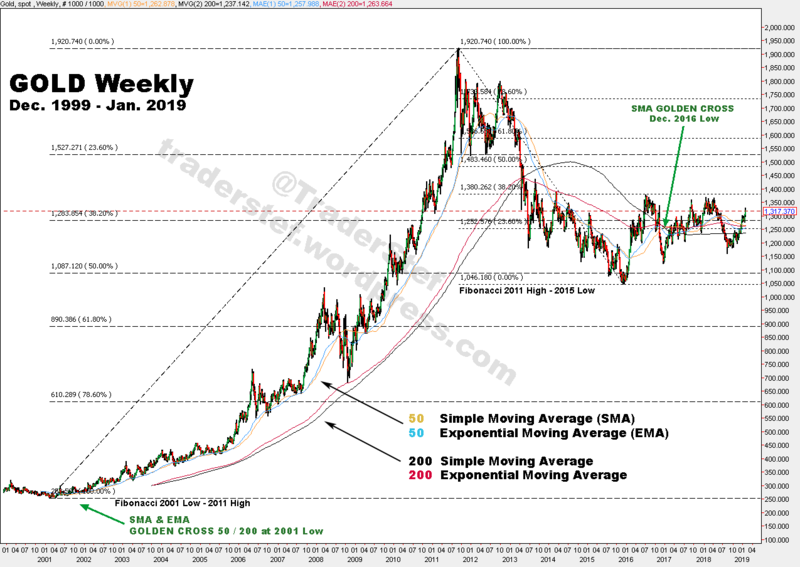 The most commonly used are the simple moving average (SMA) and exponential moving average (EMA). Moving averages are very useful and insightful when used correctly, but they create havoc when used improperly or misinterpreted. 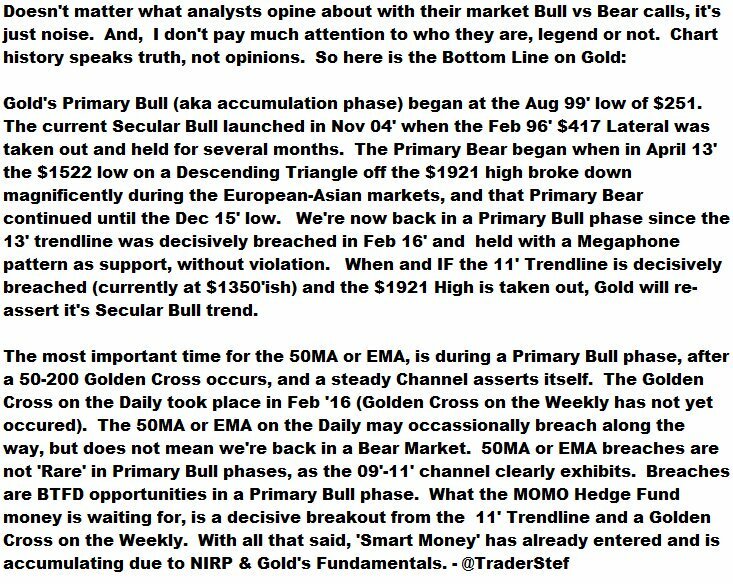 By their very nature, they are lagging indicators, and the analyst must take into consideration the overall time frame, the selected candlestick time length, and overall market conditions (i.e., primary bull accumulation phase vs. secular bull market) before coming to any conclusions. 3) Fake: Technical analysis is irrelevant because the markets are manipulated. 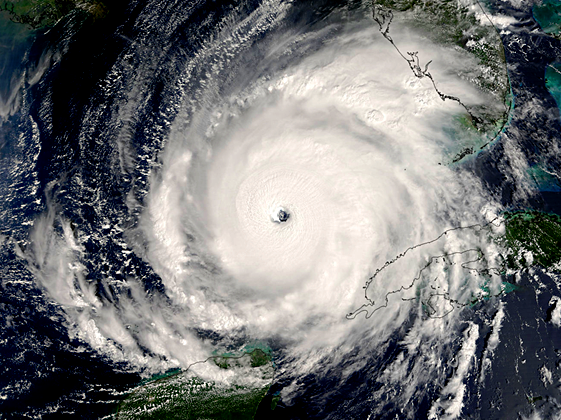 Poker Face Weather With Fibonacci and Gold – Technical Analysis… “A few lost souls remain beholden to a religion that ‘feels’ the precious metals market has a master behind the curtain controlling its every break-up or breakdown no matter how miniscule or large. Therefore, technical analysis is irrelevant due to a cartel of overlords that freakishly defy math, and nobody should bother with math because it is a method of madness smothered in futility, as every market is infinitely rigged… One of my favorite past-times watching Mother Nature spin out from chaos one of her most beautiful visuals and repetitious patterns that is viewable from above the Earth is her Fibonacci sequence. 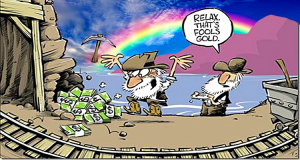 4) Fake: Gold is a barbaric pet rock relic and central banks are not buying it. 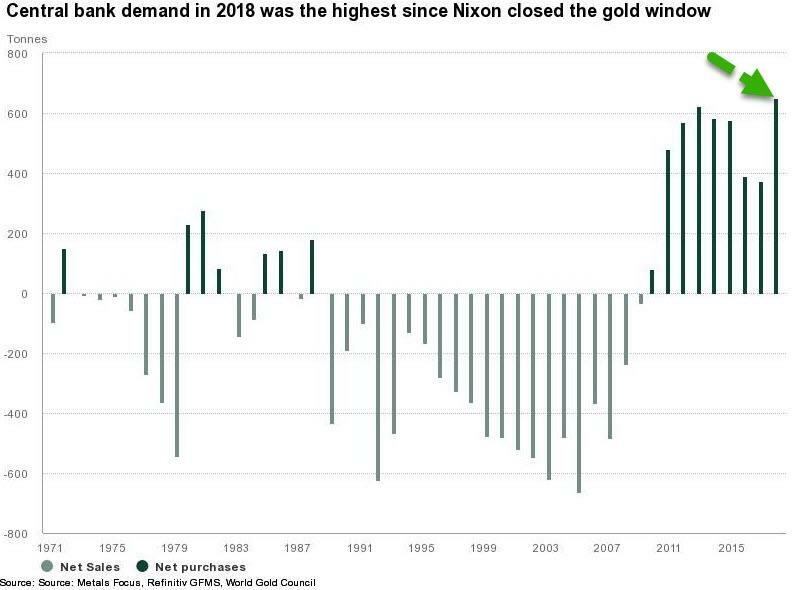 Truth: Central bank gold buying has surged to a 50-year high in 2018. 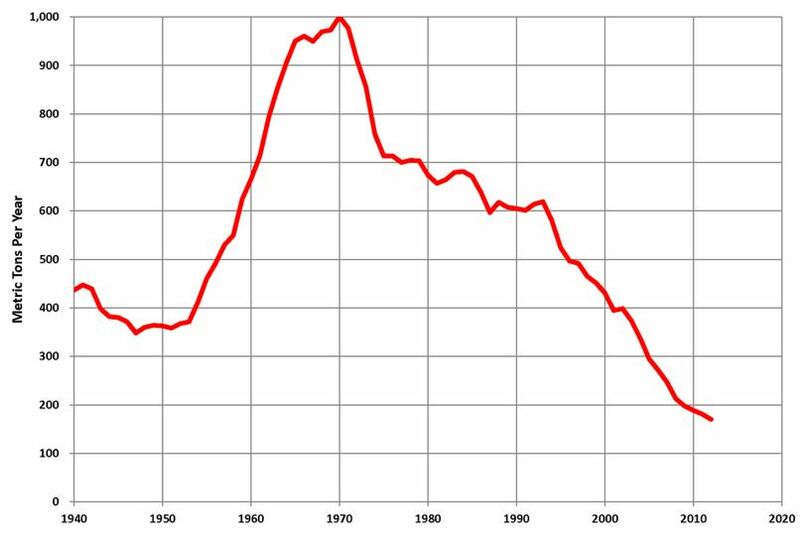 Central banks are holding at least 33,000 tonnes, or 17% (see WGC graphic below) of all the gold ever mined into existence. 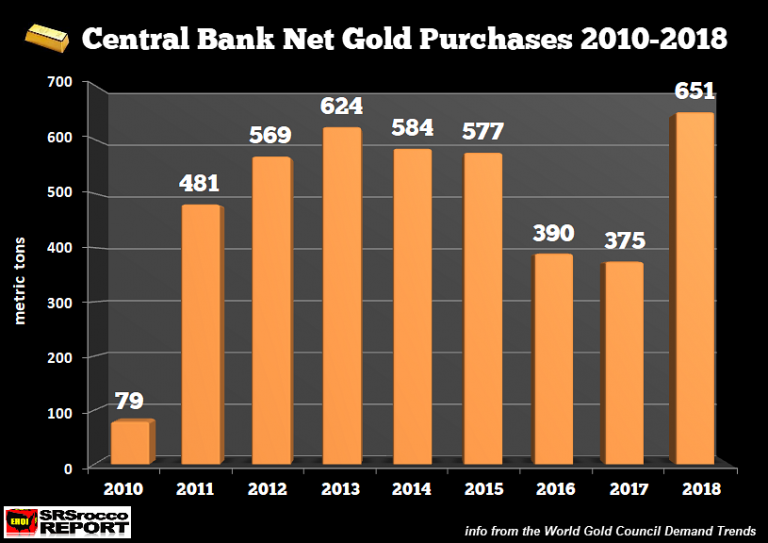 Their gold purchases have risen at a robust pace since the 2008-2009 financial crisis. 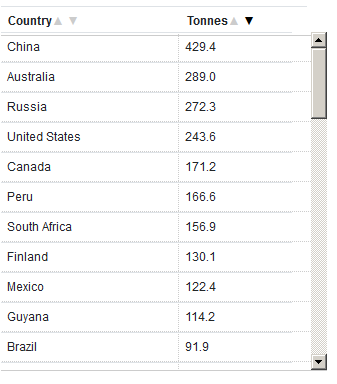 5) Fake: There is plenty of gold. I can easily buy coins online and supply is not tight. 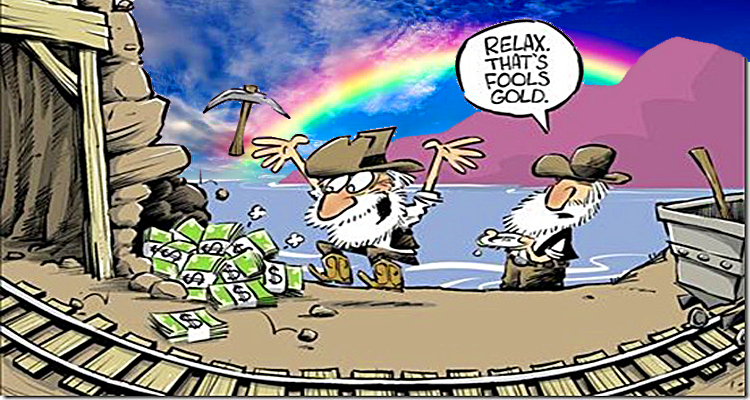 Truth: There is not much gold to go around. 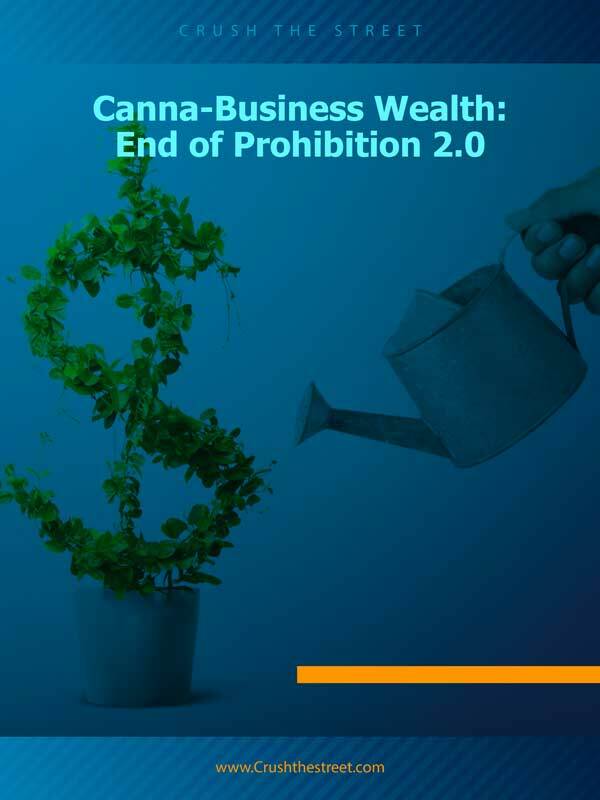 Astute business professionals are aware of the facts and are in the process of accumulating gold. High-Grading: Major mining operations brought forward future supply by mining their highest grade ore deposits first and rebalancing their books after gold’s decline in price off the 2011 high. That may have helped extend peak gold production from 2015 to a later year, but peak discoveries already occurred. 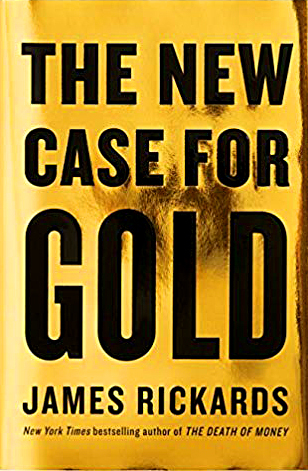 I did not have a chance to cover the following fake news data point, but I was able to mention Jim Rickards’ book, “The New Case For Gold,” as recommended reading for the trolls and folks who are lost in a forest of misinformation. 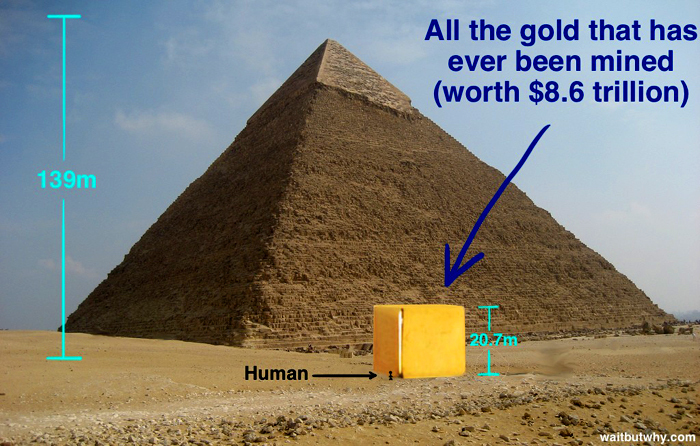 6) Fake: There is not enough gold to back the current fiat currency system. 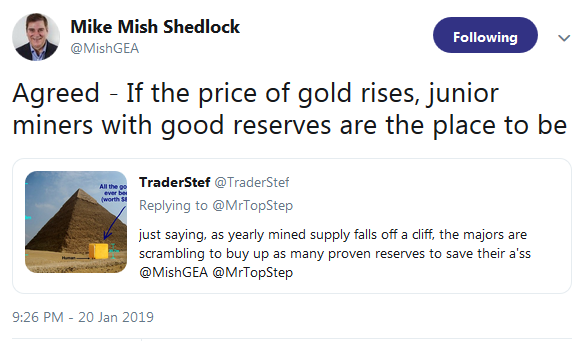 “If you go back to the gold standard at the old lower price, you’re going to have to reduce the money supply to maintain the parody. 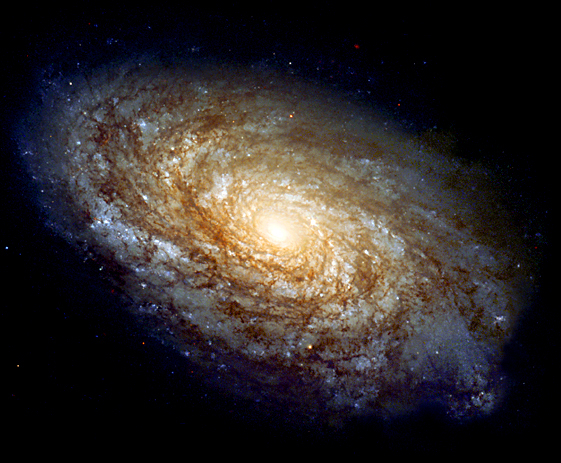 That is contractionary and depressionary, and that blunder contributed to the Great Depression. Gold did not cause the Great Depression, but getting the price of gold wrong did contribute to it. 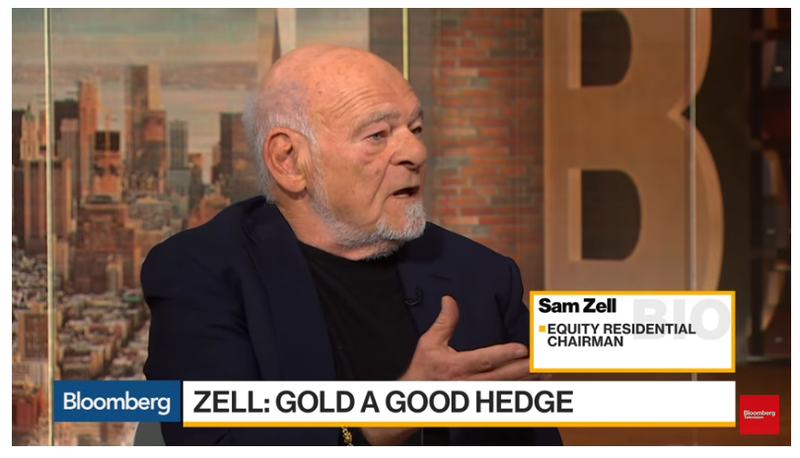 That was not a problem with gold. That was a problem with the politically determined price… Ben Bernanke confirmed to me face-to-face that gold did not constrain the money supply of the United States during the Great Depression. Anyone who says that gold caused the Great Depression has his facts wrong because as I say, it was political decisions and discretionary monetary policy, not gold that caused it.